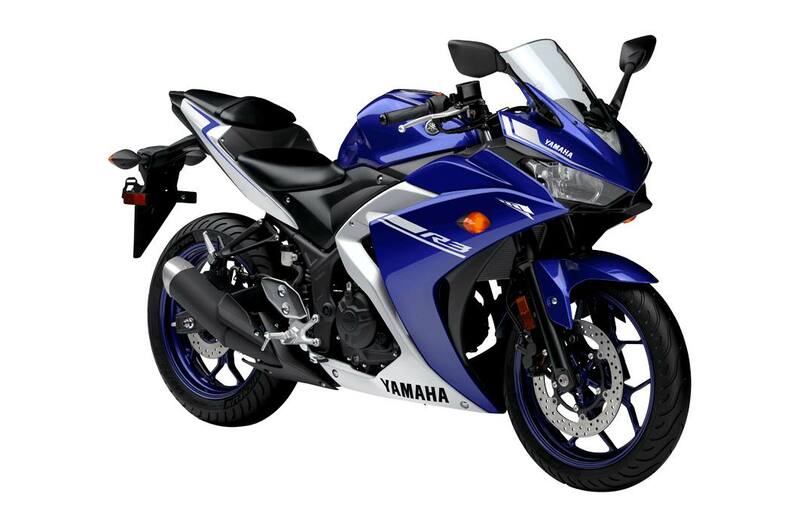 Yamaha has set the standard in the entry sports class with the exciting "R3". Sporting a twin cylinder 320 cc engine and an ultra lightweight chassis, the R3 offers a solid combination of class-leading power and light, agile handling. Mix in an easy to ride personality and you are ready for a super fun riding experience! Easy Riding: The R3 has been designed to provide a fun, enjoyable riding experience. To that end, the R3 utilizes a lightweight diamond type steel frame which is narrow and compact with a low 780mm (30.7") seat height. Despite the cool super sport styling, the R3 offers a comfortable, upright riding position which reduces rider fatigue and increases the fun factor. 220 mm rear disc is squeezed by a lightweight single piston slide-type caliper. Lightweight hollow axles front & rear.